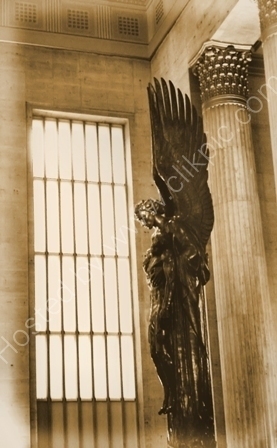 Angel Statue,Dedicated To Railroad Workers At Amtrak Station Philadelphia. a powerful Angel statue dedicated to railroad workers at amtrak station philadelphia. Wallpaper and background images in the angeli club tagged: angel statue dedicted railroad image history amtrak station philadelphia photo. This angel was brought to my attention by yaz (Barbara) i think you will agree that he is a very powerful angel ! I just cant get enough of this statue. apparently there is a smaller rendition at the museum in Boston...or so a friend told me! I just love it. thankyou Bernie and Happy Easter!